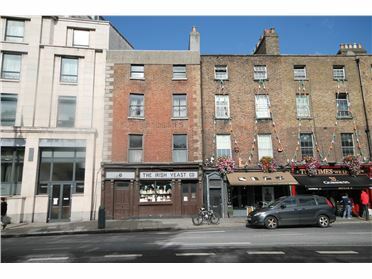 The subject property is a mid-terrace four storey Georgian building ideally located at 6 College Street, Dublin 2 in the heart of Dublin city centre. 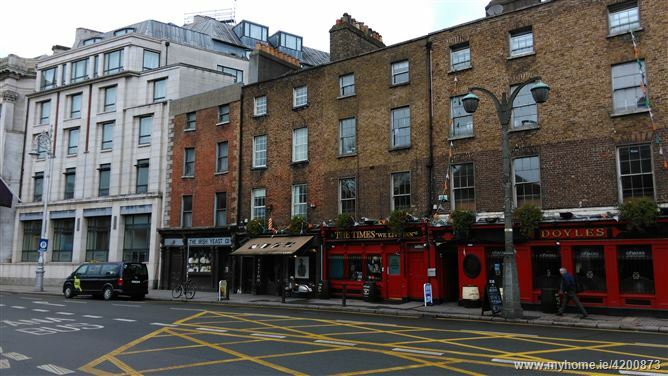 The property is situated between the Westin Hotel and the Barber Room Hair Salon and is adjacent to Trinity College. 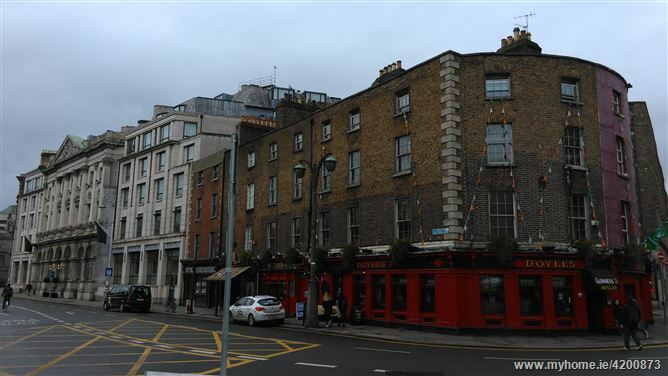 This prime city centre location benefits from a host of amenities including; Grafton Street shopping district, Temple Bar & surrounding areas, St Stephens Green, O' Connell Street, Trinity College and the IFSC. 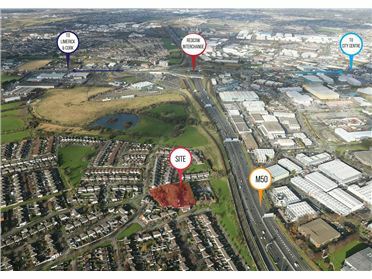 The location also benefits from excellent transport links. The new extended LUAS Green Line service runs directly past the property with Trinity Luas Stop less than a minutes’ walk away. A host of Dublin Bus services travel along College Street serving all areas of the city. This historic building retains most of its original features and is steeped in old world charm. 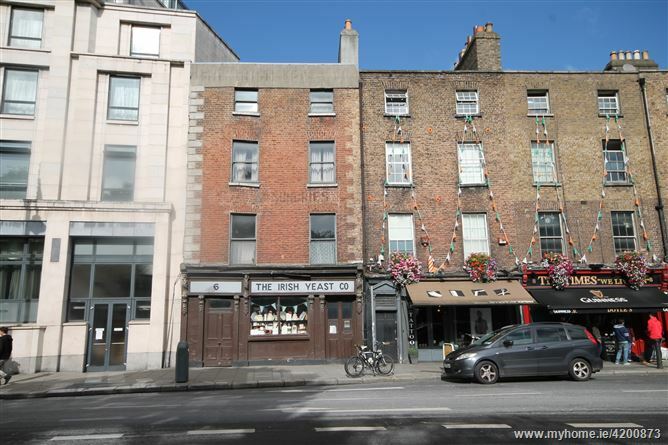 The ground floor of the property comprises of a small retail unit which traded as the Irish Yeast Company. This family business traded at the property from the 1890's. The upper floors of the property are residential in nature and are set out as reception rooms, bedrooms, washroom, bathroom and kitchen. The property also has an unused cellar beneath the ground floor. Since closing its doors the property has fallen into a state of disrepair and would require substantial refurbishment and modernisation in order to restore it to a habitable standard. The ground floor of the property comprises an entrance hall, small retail unit, back office and store room. A staircase from the entrance hall leads to the upper floors which consist of a number of reception / living rooms, bedrooms, washroom, bathroom and kitchen. There is an unused cellar beneath the ground floor. From O'Connell Bridge travel south on D'Olier Street. 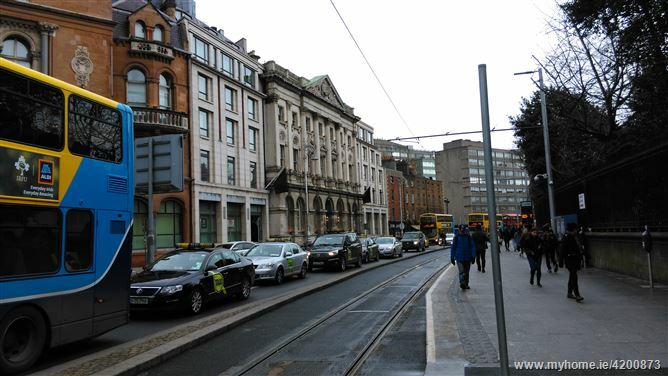 From D'Olier Street follow the road around to the right hand side onto College Street. Continue on College Street for approximately 30m and the subject property will be on the right hand side. Strictly by prior appointment with the sole selling agent DNG Advisory.